Non-contact temperature measurement is now possible in areas of high ambient temperature with no need for sensor cooling using air or water. This brings several benefits, including cost reduction, better safety, and improved product quality in manufacturing processes. Infrared temperature sensors have historically had a maximum operating temperature of around 70°C (158°F). If the ambient temperature is higher than this, such as in measurement locations near industrial ovens or in corrugated board manufacturing.then a cooling jacket may be added, which must be provided with a continuous stream of cooling fluid. With cooling in place, the maximum temperature the sensor can withstand varies depending on the airflow around the sensor, the type of cooling fluid, its flow rate, its pressure and its temperature. It is typically around 120°C (248°F) for an air cooled sensor, or 180°C (356°F) for a water-cooled model. No cost to install a cooling system. The cost of the cooling equipment and its installation is usually many times that of the sensor. No cost to supply the cooling fluid or maintain the cooling system Running costs are minimal for uncooled sensors. No risk of coolant leaks so process safety and product quality is improved. Sensors do not depend on cooling to avoid damage from high temperatures such as when the cooling system fails. Downtime is avoided and sensor replacement costs are eliminated. Sensors without cooling are much smaller and can be installed where available space is limited. The latest sensors such as the PyroMini use high-temperature components and cables, allowing the sensing head to withstand 120°C (248°F) or 180°C (356°F) without cooling, depending on the choice of model. The sensing head can be manufactured with up to 30 m of cable, with the electronics box positioned somewhere cooler. This type of pyrometer is ideal for measuring non-metals and painted or non-reflective coated metals. 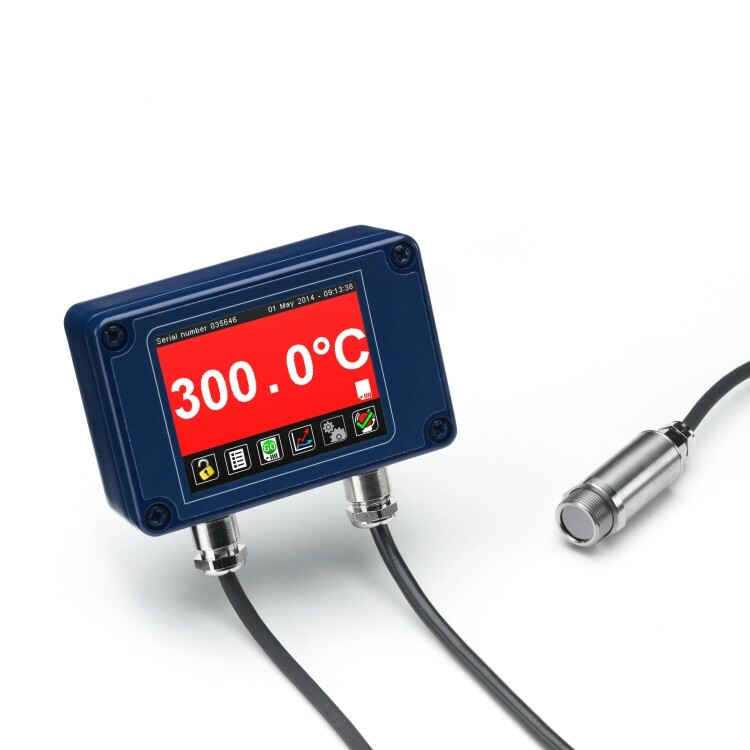 For multi-sensor networks, the PyroMiniBus has an ambient temperature limit of 120°C. 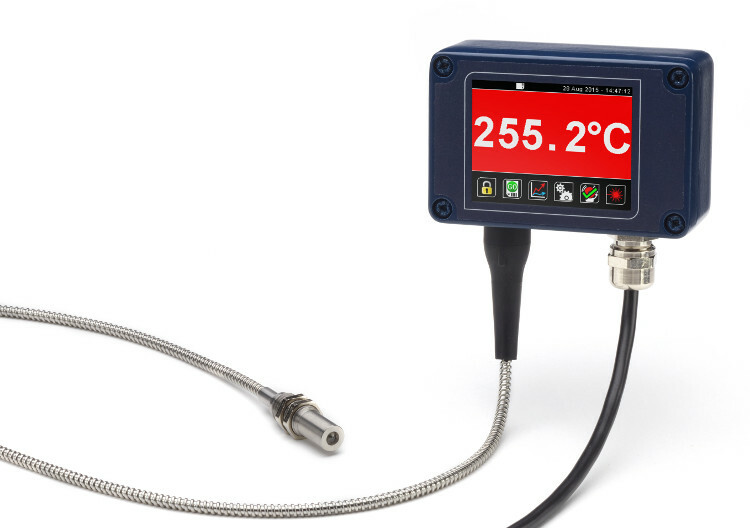 If the ambient temperature is higher, the Modbus versions of the PyroMini -HA and FibreMini are ideal. 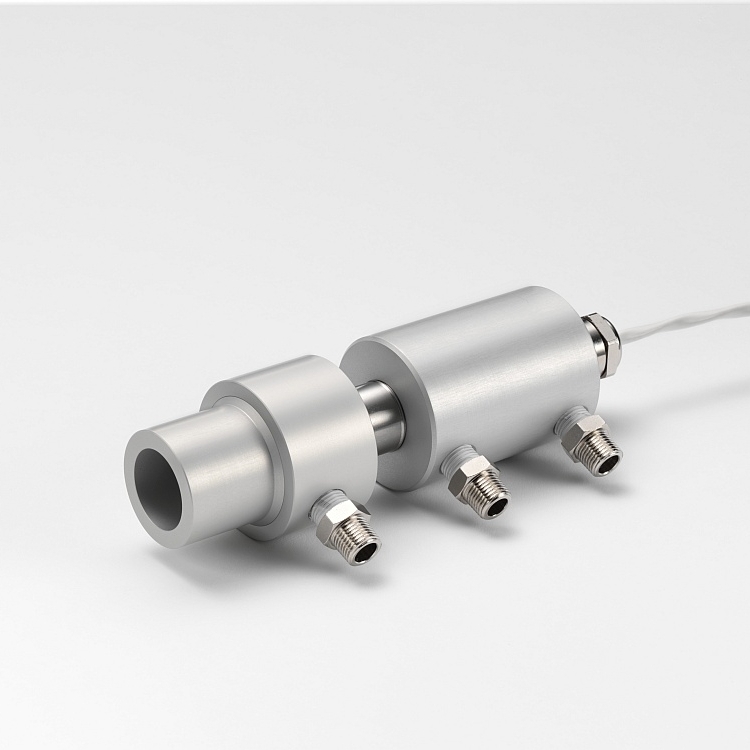 For measuring reflective metals in high-temperature applications, the short-wavelength FibreMini provides improved accuracy compared to general-purpose sensors. Its fibre optic sensing head contains no electronics, allowing a maximum operating temperature of 200°C (392°F) without cooling. Get in touch to find out how we can help you measure temperature in your application.